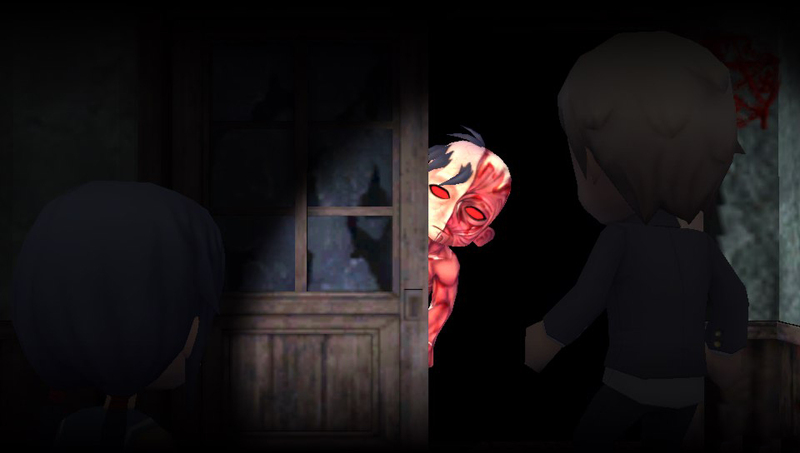 One of our favourite horror series, Corpse Party, has expanded once more to iOS. The third game, Corpse Party, is now available for Apple iPhone and iPad in addition to the original game. It was released simultaneously in English and Japanese. … This is what is great about Corpse Party; even with the ghosts and uglies that are trying to slaughter your characters at every turn, they're not the focus of the experience and the horror is instead found in the scenario itself being deeply unsettling. The extreme descriptions of what is going on is cerebral. The setting and allusions to a wide range of Japanese horror films is additionally uncomfortable for people who have seen enough Japanese horror to have a background in it. The image in the mind, set against the literal image on screen, is where Corpse Party finds its horror, and it's both subtle and intense, and really quite unique for the genre. Interestingly enough, the second entry to the series — Book of Shadows — hasn’t launched on iOS for Westerners yet. That being said, considering the first and third games have been, it’s a good bet that it will show up on the platform in English soon enough. Square Enix developed Mobius Final Fantasy to be a console-style experience on a mobile platform. Now they have decided to bring the game to PC with HD graphics running at 60-120fps and support for 4K resolution. Project Leader Naoki Hamaguchi stated that the PC version "allows for a further enriched gameplay experience, which is essentially the only difference between the two versions." Save data can even be shared between both versions, in fact the game will essentially be cross-play: "... players can enjoy the game on their mobile devices outside and continue to play from their room with the Steam version after they return home. " A crossover event with the Final Fantasy VII remake will begin February 7, featuring Cloud traversing the Mobius world of Palamecia as well as the Guard Scorpion and Mako reactor. As producer Yoshinori Kitase explains, “this was made possible because the specifications of Mobius Final Fantasy allow us to utilize the data from Final Fantasy VII Remake as is.” And the chances for future collaborations look good: "going forward, we would like to continue collaborating with other mainline Final Fantasy titles." Mobius Final Fantasy is available as a free-to-play title on iOS and Android worldwide and on Steam in Japan. The worldwide release on Steam is February 6. Here's a neat bit of news for fans of the city builder genre: Mothership Entertainment has signed on to Team17's game label to release Aven Colony on PlayStation 4, Xbox One, and PC. This game has been in development since 2013 and the team behind it has some serious pedigree — credits include Fable 2, Metroid Prime 2: Echoes, Metroid Prime 3: Corruption, Star Wars: The Old Republic, City Conquest, MechWarriors 4: Vengeance, and more. "Set on Aven Prime, an alien world of deserts, tundras and wetlands light-years from Earth, Aven Colony is a rich simulation of an extra-terrestrial colony. Build, customise and maintain your settlement, manage your resources, encounter a variety of alien life forms and look after your citizens – all while dealing with the challenges of life in an entirely new solar system. Will your plucky settlers survive and prosper on this exotic alien world, and uncover its many secrets? Featuring a dedicated mission objective system which gradually introduces colony management during the campaign mode, Aven Colony welcomes and enables both novice and experienced players alike to acclimatise to life on Aven Prime. Advance from Colony Governor through the ranks to achieve the prestigious title of Expedition President." If this all sounds good to you, you're actually able to play it on PC right now thanks to the game being available in beta form on itch.io. Aven Colony was always planned for a full PC release. This partnership with Team17 means that console players will get to enjoy it as well. Enjoy the trailer as you wait for this one to be released in Q2 2017. Final Fantasy fans will be thrilled, as we have more news regarding the iconic series. We last reported on progress with the Final Fantasy XII HD remake in an edition of the catch-up coffee only a week ago, and now we have an official launch date. Hurrah! Square Enix announced at the Final Fantasy 30th Anniversary Opening Ceremony that Final Fantasy XII: The Zodiac Age will launch for PlayStation 4 in North America and Europe on July 11 and in Asia on July 13. Please note that while we would expect the Australia and New Zealand release date to coincide with Europe, there has been no official confirmation to this effect. The 2006 Final Fantasy XII: International Zodiac Job System was originally only released in Japan and The Zodiac Age is an HD Remaster of this version. Beyond the visual upgrades, reconstructed battle design and a revamped job system, the remake will also include a Turbo mode that increases gameplay speed and a Trial mode that offers endgame challenges for experienced players.